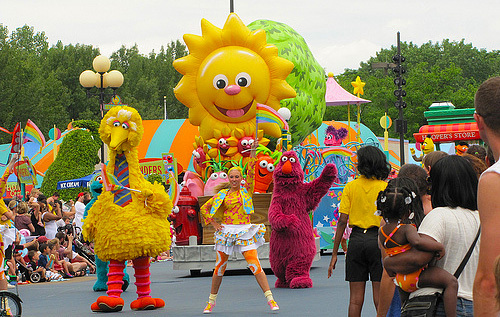 This colorful, kid-friendly parade, at Sesame Place in Langhorne, PA, was written and directed by Sherilyn Draper. Neighborhood Street Party stars everyone’s favorite Sesame Street characters as well as a cast of friendly neighbors and neighborhood helpers. The parade is accompanied by a continuous musical track that presents three fun and educational show stops designed to engage the preschool audience in Sesame Street core curriculum activities. Sherilyn, along with the creative team, also designed and implemented two seasonal overlays that visually celebrate Halloween and Christmas, and replace the last parade stop with a Halloween-themed and Christmas-themed finale.